Xact Rose rake is ideal for cleaning and spreading soil in small spaces around, between and under plants. 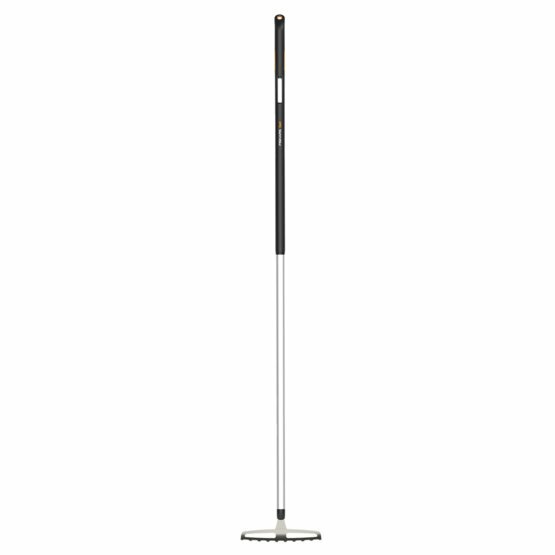 Durable stainless steel head with 10prongs makes raking in narrow areas more effectual. Hardened aluminium and unique shaft profile reduce weight without sacrificing strength making every stroke effortless. Ergonomic SoftGrip™ handle design allows multiple hand positions and exceptional handle and shape gives good support during use.